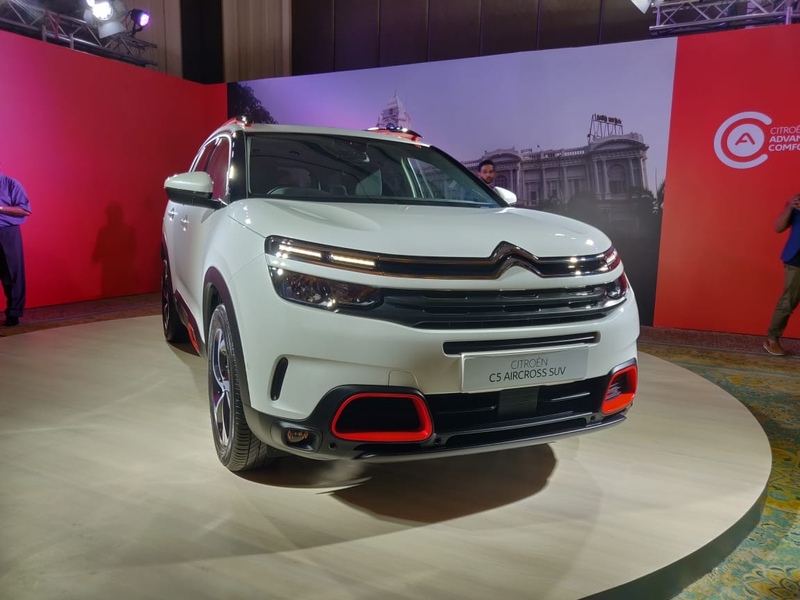 Confirmed for a launch by the end of 2020, the C5 Aircross SUV will be the first offering from the French brand, Citroen in India. 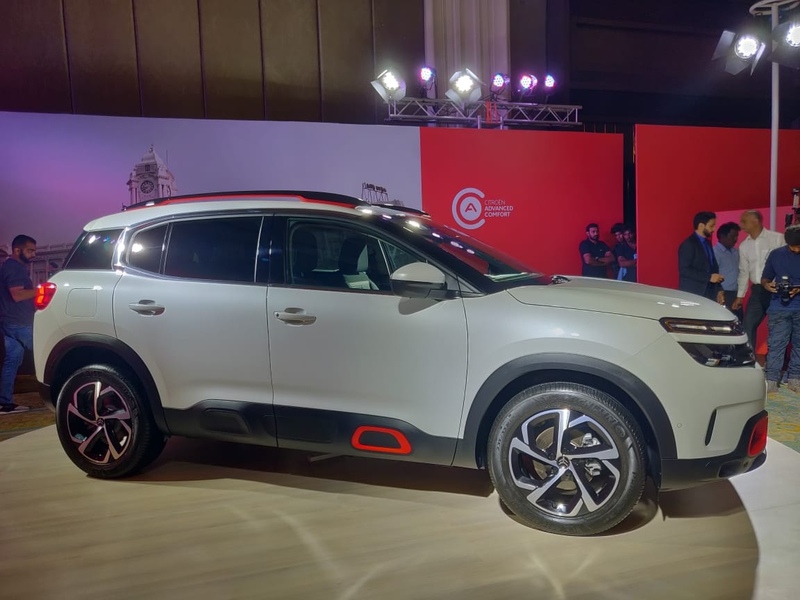 Associated with CK Birla group for an entry in the Indian market, the brand aims to set new benchmarks in the areas of comfort, style and innovation with the C5 Aircross. The company is setting up its facility at Tiruvallur in Tamil Nadu and powertrains will be developed at Hosur in the same state. The company is also looking forward to reviving the ambassador brand in the country. In the meanwhile, here is a walkaround video of the first SUV the company will be launching in our country. Coming to the C5 Aircross, the SUV is adorned by a huge amount of plastic cladding and tasteful chrome accents. The front end comes with a split headlight set up. The upper strip comes with LED DRLs and the main headlights are located below. Despite being so huge, the headlight assembly does not come with a projector setup. There is a contrasting red element at the lower end at the front end, roof rails and the front doors. The dual tone alloy wheels too, look very nice and measure 18-inch in diameter. The rear boot has a volume of 580-litres and gets a powered tailgate and there also is a floating roof type design. To put things in perspective, the Citreon can be compared to the Renault Duster in terms of size. On the inside, the rear gets ample of space for your legs, knees and head. At the top, there is a panoramic sunroof. The rear bench also comes with three separate headrests as well. The rear bench also comes with AC vents to chill the cabin as soon as possible. The front bench also feels very premium and comes with an 8-inch infotainment system and a digital instrument console. The gear selector also comes in a very new design and looks really nice. Underneath the bonnet, the international spec model comes with as much as 3 engine options. On offer is a 130 hp, 1.2-litre turbocharged petrol; a 130 hp, 1.5-litre diesel and a 180 hp, 2-litre diesel engine. To know more about this car, do have look at this walk around video for more in-depth coverage of the car.